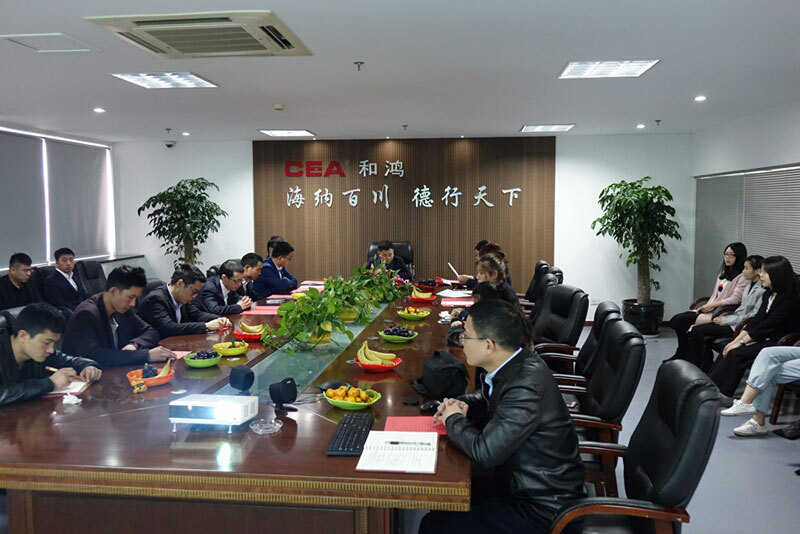 CEA GROUP INTERNATIONAL Work Deployment Conference held in Yueqing on March 26th. Chairman Tan Qilong, vice president of administration Zhang Yanfang, vice president of sales Liu Guanzhong, all department managers and employees attended the conference. The conference awarded the "Excellent staff", "Excellent Managers" and "Business Progress Awards" for 2017. The company commended them, affirmed their work, and called on everyone to learn from them, thereby mobilizing the enthusiasm of the employees. The conference adhered to the spirit of looking for the truth and being practical from beginning to the end and filled with a strong democratic atmosphere. This will inevitably guide and motivate the company's employees to be brave, innovative, and committed, and to create a more brilliant future for our company. At the meeting, all department managers fully summarized the work done in 2017 and analyzed the problems in the work and made detailed arrangements for the 2018 work plans based on the issues. Chairmen Tan proposed the guiding principles and objectives beyond the departments’ work report in 2017 and the current status of the company. It includes emphasizing on company’s personnel training and cultural construction, enhancing our capability of independent innovation, promoting the construction of e-commerce platform, guaranteeing product quality, and developing the terminal market. In line with the concept of innovation and development, CEA GROUP INTERNATIONAL 2018 Working Conference has undoubtedly set goals for this year's work, defined the tasks and direction of development, and laid a good foundation for the work of all departments.